A group of 11-and-under Southwest players made the pilgrimage to the USTA National Training Center in Carson, Calif., March 27-29 for a training session and scrimmage against players from Southern and Northern California and Nevada. The friendly competition and workshop, arranged by Robert Wojcik of the Wigwam Resort in <?xml:namespace prefix = st1 ns = "urn:schemas-microsoft-com:office:smarttags" />Litchfield Park, and was designed to give participating players a taste of high-level training, education and competition. Participating players included Brandelyn Fulgenzi of Las Vegas, N.M.; Emily Smith of Goodyear; Delaney Nothaft of Tempe; Jakub Wojcik of Litchfield Park; Sonia Solis of Goodyear; Melissa Pick of Albuquerque; Savannah Slaysman of Phoenix; Molly Bertel of Goodyear; Chloe Weihs of Peoria; Josie Frazier of Laveen; Gabriela and Maximo Lawlor of Goodyear; Reagan Posorske of Cave Creek; and Zoey Nelson of Waddell. On Friday morning, the group met with mental training guru Frank Giampaolo (pictured below, center) of Lake Forest Beach and Tennis Club for a conversation about mental toughness, emotional control, and, of course, tennis. 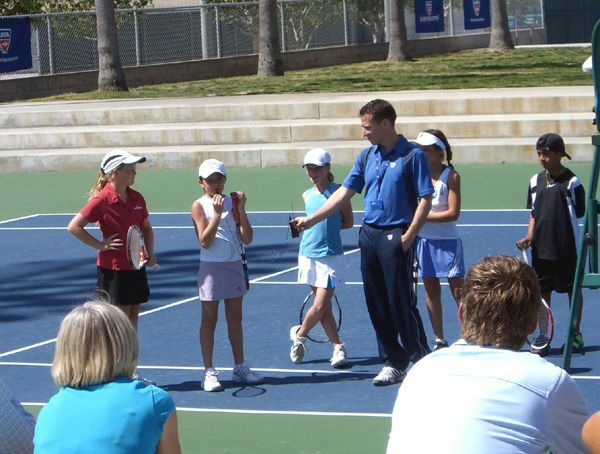 The group later traveled to USTA Carson for afternoon match play. 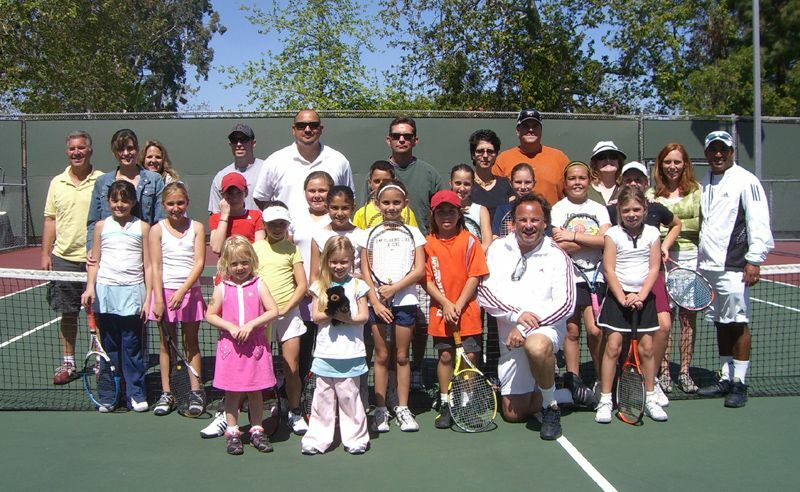 The next day, the group was addressed by Hall of Fame player Tracy Austin and coaching legend Jose Higueras. Fulgenzi and Nothaft helped Higueras demonstrate a drill before breaking out into workout groups.